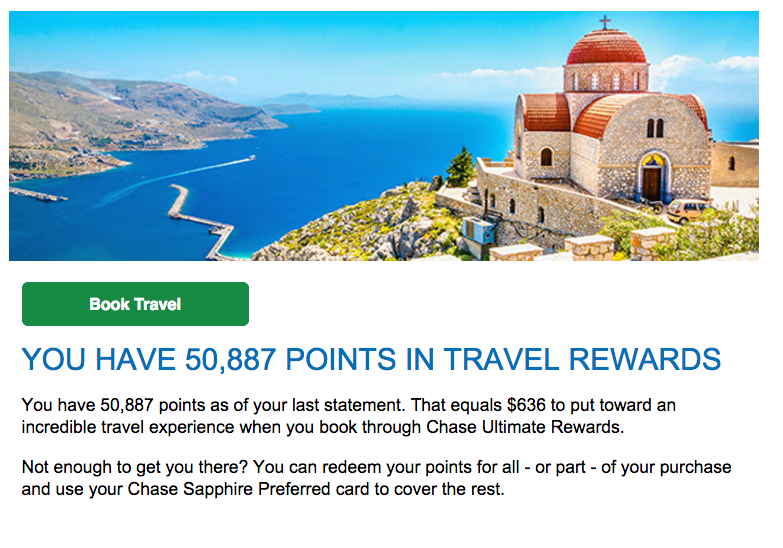 Kudos to them for reminding me how many points I have on my Chase Sapphire Preferred account. Even if I may forget at times (or miscalculate) they are there to remind me what I have and how I could use those points. Just look at that photo – it’s quite enticing, to say the least. Additionally, they keep me in line with their unfortunate 5/24 rule: essentially that any credit card applicant who has opened five new cards (from any bank) in the past 24 months is restricted from certain cards in their repertoire. For example, despite me coveting the Chase Sapphire Reserve card, I was denied because of all my card openings (we didn’t even bother for my wife to try for the same reason). In conclusion, they are keeping my business for both positive and negative reasons. Fascinating. ← Should you keep that credit card or not?